What happens to be the most expensive Indian movie made till date, the sci-fi flick 2.0, already has a lot of movie enthusiasts excited about its launch. Honda 2Wheelers has also decided to become a part of the euphoria and has announced its association with Rajnikanth’s latest blockbuster. Produced at an estimated budget of INR 543 crore, 2.0 features Rajinikanth reprising the roles of Dr. Vaseegaran and Chitti, alongside Akshay Kumar and Amy Jackson. It is the first Indian film to be shot entirely in 3D. As a part of the celebrations, Honda will unveil exclusive content of 2.0 to enhance customer experience at various touchpoints through online & on-ground customer engagements. The association is also special since it features Honda’s brand ambassador for India, Akshay Kumar, playing the anti-hero. As the movie release date (29th November 2018) approaches fast, Akshay Kumar’s autographed X-Blade motorcycles will be available exclusively for all the 2.0 fans at Honda touchpoints. About their products, HMSI’s President for India has stated in an interview that their plan to launch premium products has been put on hold until the new BS VI norms are introduced in April 2020. 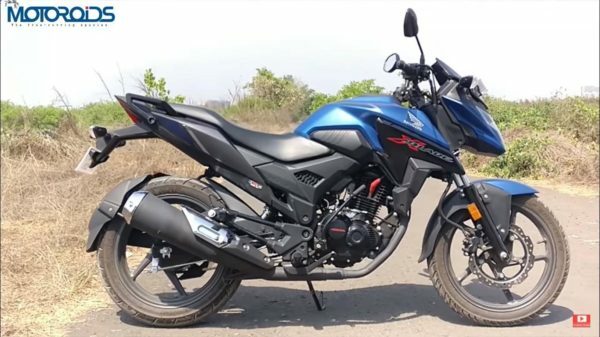 Post that, the two-wheeler giant will unleash an onslaught in the 150 cc – 300 cc space. However, if the new CBR 650 R will replace the CBR 650 F in India before that could be anybody’s guess.